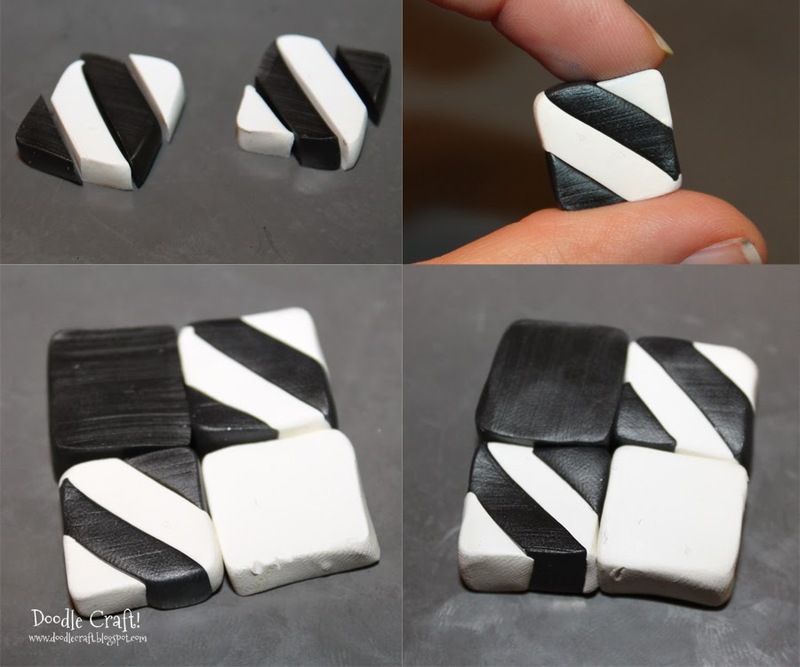 Doodlecraft: Houndstooth Pattern Polymer Clay! but HOUNDSTOOTH pattern made from clay? I am totally inspired now! 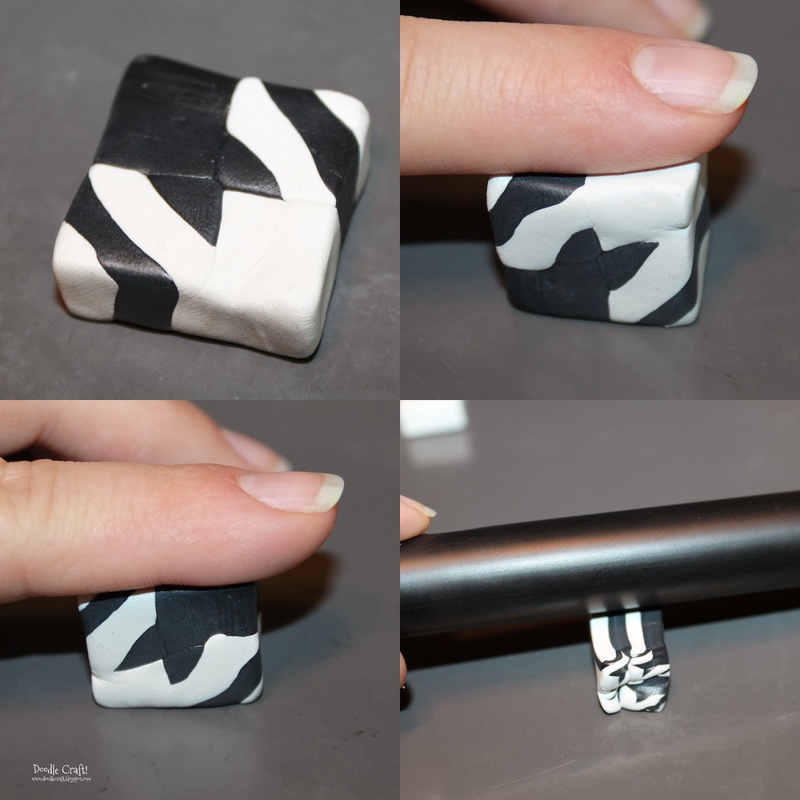 Here's the step by step. 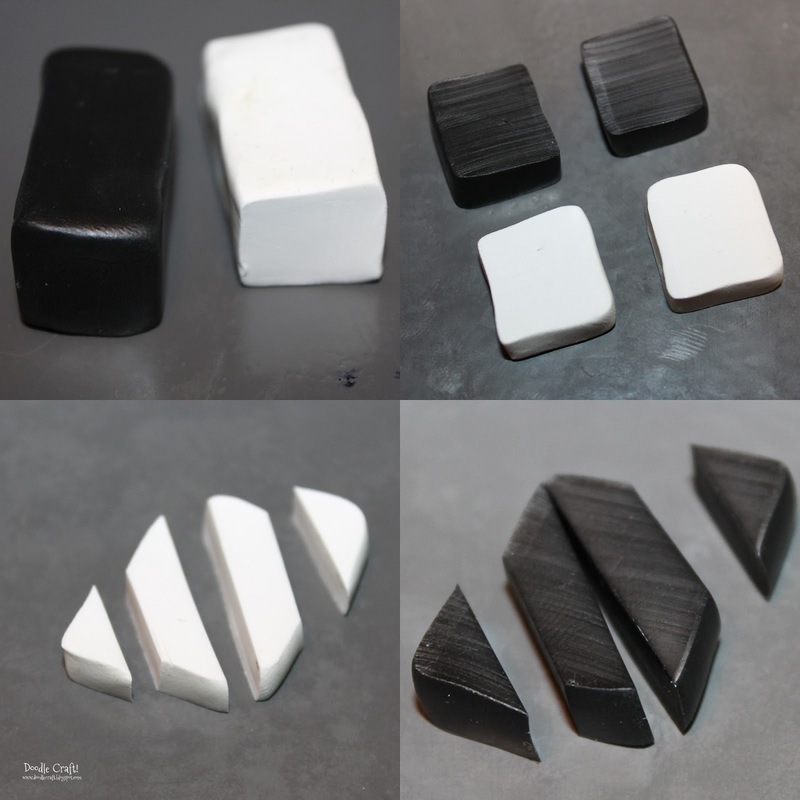 White and black clay...in 4 pieces. 2 white, 2 black. Same size. and then gently pressed together in a square fashion. This is the tedious part. Gently press each side evenly. smooth it back, roll it with a small roller. Until it makes a cane. 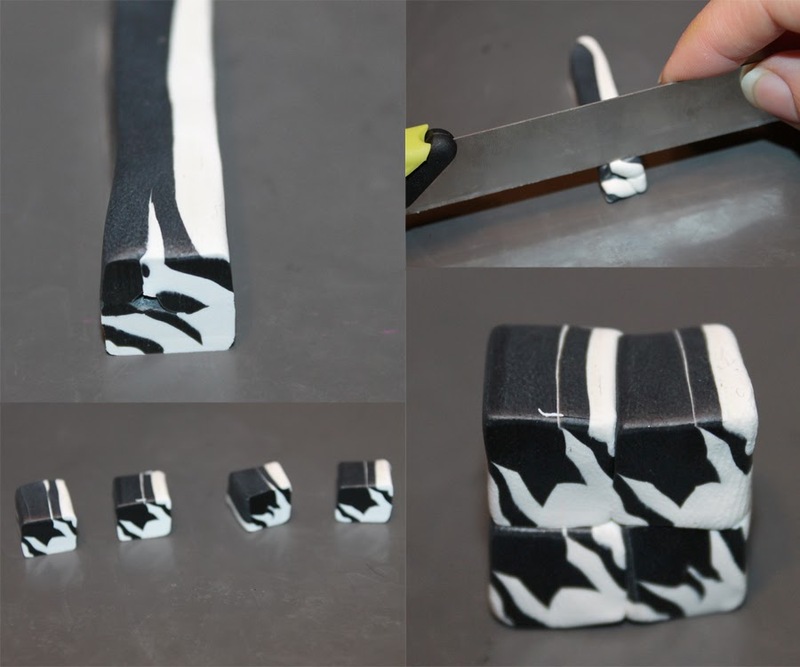 Cut off the ends with a blade and see how well you did! Okay, pretty sloppy...but still cool! Press gently on all four sides. Smooth with a roller and form another cane. And then cut and put more pieces together. Find something to do with it! ha ha ha!